Bob Masse Vintage is the official source for "Bob Masse Vintage" featuring the classic art designs of original sixties rock poster artist Bob Masse. 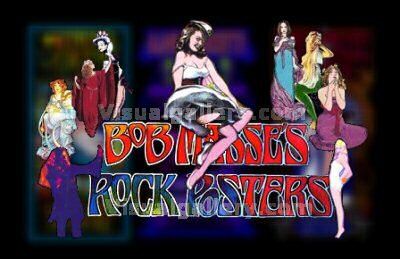 For 50 years Bob has been an active pop culture artist, creating poster art for all the legends of rock and roll from the mid sixties through today. From Janis Joplin, The DOORS and The Grateful Dead to modern bands like TOOL and No Doubt the list of bands Bob Masse has created reads like a list of the greatest bands of all time.